It would seem Sanskrit has become the flavor of the month in some parts of the United States. Last week, a two-day Sanskrit seminar, the first of its kind in Nevada, concluded in Reno with chanting of Sanskrit shlokas (verses) by Andrea Forman, lead singer of Shanti Shanti, the only Sanskrit rock band in the world. The seminar, attended by about 36 participants, proclaimed January 12 as Sanskrit Day in Washoe County, Nevada, apparently the first time any county in the US has dedicated a day to Sanskrit. 'As Hinduism expands in the West, it is important that to understand Hinduism, one should have a working knowledge of Sanskrit,' Robert M Larkin, chairman, Washoe County Commission, who signed and read the proclamation at the inauguration, said. Earlier this month, the Gayatri Mantra from the Rig Veda, hymns from Taittiriya Upanishad and shlokas from the Bhagvad Gita were used to bless students at the Bishop Manogue Catholic High School, one of one of the prestigious Catholic schools of America, situated in Reno. Twenty six Indian-American teenagers took a resolution on New Year's Eve to learn to speak in Sanskrit, a language considered dead in India, before a 150-strong audience at the Harvard Community Center in Irvine, southern California. The pledge was made during the Viswa Samskrita Dinam celebrations organized by the Samskrita Bharati USA, a nonprofit organization dedicated to popularizing spoken Sanskrit. "There has always been an interest in Sanskrit in the United States, even among many Americans," Arun Sankar, a computer engineer who speaks Sanskrit fluently, told rediff.com. "The problem is that the Sanskrit teaching groups have traditionally not given you much handle in terms of speaking, or deepening interest in the language or the culture," he added. Sheela Bhongir, a sophomore at Calstate Northridge who attended the Irvine camp, said she liked the teaching style of the camp. 'Without using English, the teacher was able to use his hand gestures and facial expressions to make clear the meanings of words and phrases. I really liked that technique? it made Sanskrit enjoyable and easy to learn,' she said. During the Sanskrit seminar in Nevada last week, Sankar and fellow members from the Samskrita Bharati USA traveled to Reno to take part in the discussions. Sankar acknowledged that one of the important factors behind the recent move to popularize Sanskrit as a means to learn more about Hinduism has been chaplain Rajan Zed, who inaugurated the US Senate session July 12 with a Hindu prayer. "I think in recent months there have been some pro-active movements to popularize Sanskrit and Hindu culture and civilization," Sowmya Joisa, who teaches children Sanskrit language in SBUSA, told rediff.com. 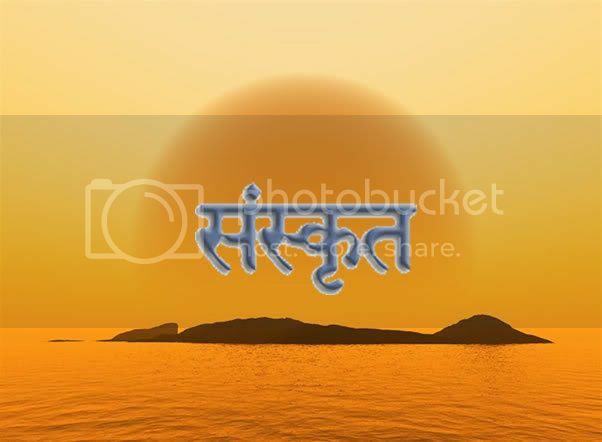 "Sanskrit is the language from which we derive our culture and heritage. There are so many Indian languages that come from Sanskrit. Naturally, those who want to learn about India and its culture, want to learn the language," she added. Zed, who has become an icon of sorts in the US since the inauguration of the Senate with Hindu invocation, said he is set to sing Hindu prayers in Sanskrit to inaugurate four state Senates in 2008, including in Colorado, Washington, New Mexico and Arizona. "Hinduism needs more visibility in America and with visibility and openness come the acceptance into the mainstream. Most of the Americans are open to other viewpoints -- one just has to make efforts and pave one's way through various channels," Zed said. In New Mexico, he will recite from the Rig Veda, the world's oldest scripture still in common use, dated around 1500 BC, besides lines from Upanishads and the Bhagvad Gita -- both ancient Hindu scriptures. He plans to start and end the prayer with 'Om,' the mystical syllable containing the universe, which in Hinduism is used to introduce and conclude religious work. Joisa said Sanskrit is no more a language of interest for only those who are elderly or want to study the scriptures. "Perspectives have changed and it is not just the old and religiously-minded who want to study Sanskrit, but also young Indian Americans who are inquisitive of their culture and background (who are taking interest in Sanskrit)," she said.